Easter in the Gardens brings hundreds of families from the area to participate in tracking down all the eggs the Easter Bunny has spread out across the Oleander Bowl at Moody Gardens! On Easter Sunday (March 31, 2013), we will be throwing the best Easter celebration around. There will be activities such as games, arts and crafts, a petting zoo, and of course, the huge Moody Gardens Easter Egg Hunt! Egg hunts are scheduled for noon and 2 p.m.., but you’ll want to get there early for all the other fun events. 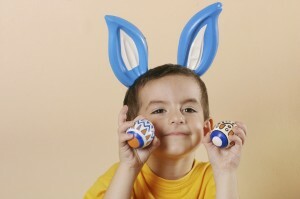 Kids aged 12 and under can enjoy all the activities and the colorful eggs throughout the Oleander Bowl. All activities are open to the public and admission is free. Just show up with your baskets and ready to have a good time. Mark you calendars and get ready to spend your Easter holiday with Moody Gardens this year, and hopefully many more. The Moody Gardens Hotel is one of the best places to stay in Galveston. Our family-friendly hotel is the perfect vacation destination for your next family weekend getaways in Texas. We look forward to spending Easter with you and your family.